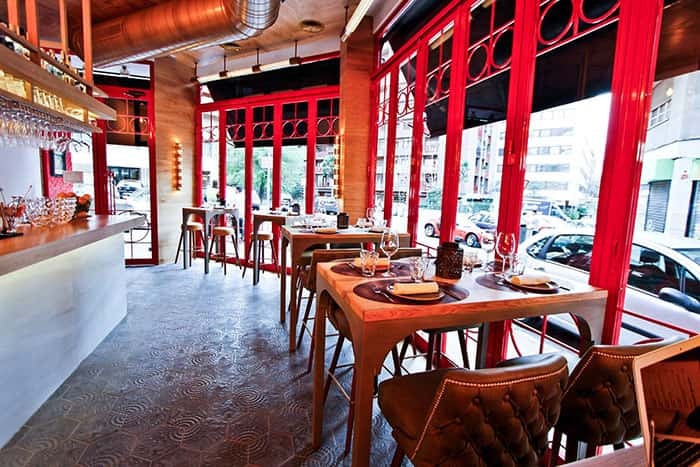 The new restaurant of this Madrid chain, La Canica, has opened in Infanta Mercedes St. This is their third venue, after La Canica de las Naciones, in Avenida de los Andes, and Taberna La Canica. 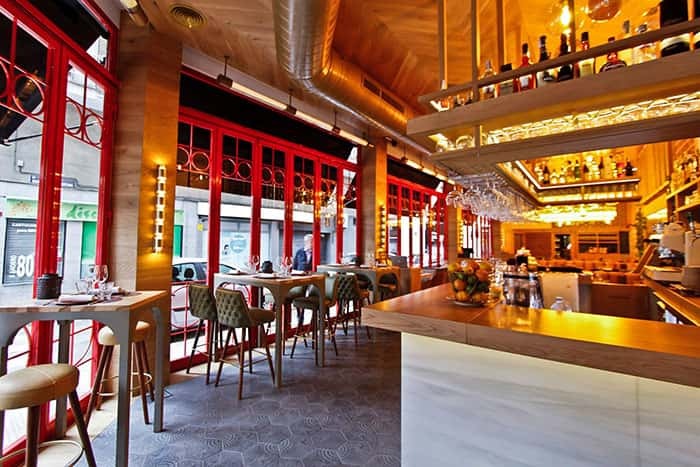 They take pride in their gastronomy, based on traditional renovated cuisine and the decoration of their restaurants, which offers the diner a unique experience. 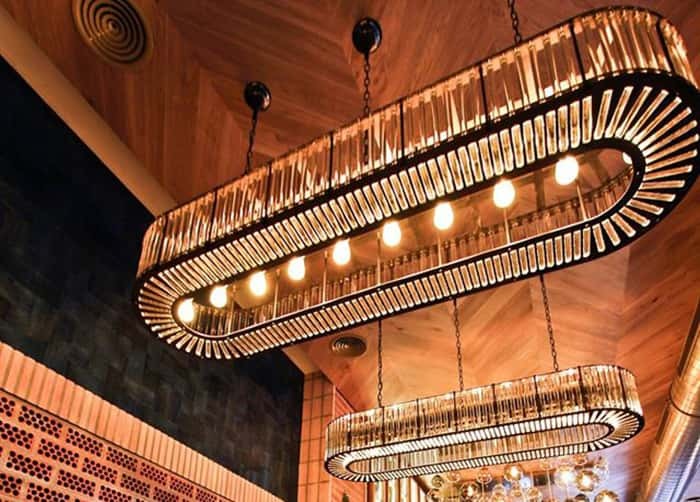 The interior design is the work of Zooco Estudio, and from Dajor, we contributed with the manufacture of some spectacular hanging lamps, placed over some of the tables: a large oval lamp with glass tubes and three distributors of four bulbs, suspended by two adjustable chains. For the rest of the tables, we made hanging lamps of different sizes and heights, with smoked glass in shades of brown, white and amber. A similar pattern is followed by the spheres suspended by a post at the entrance of the toilets: smoked-glass balls in white and amber colours. For the walls, we manufactured some gold cylinder sconces with rings to provide a pleasant mood lighting to the room.